Sudden Unexplained Death in Epilepsy or SUDEP refers to the sudden death of a person with epilepsy without determinable cause. In a typical case of SUDEP, an otherwise healthy person with active epilepsy dies suddenly, unobserved, while in bed. For this reason SUDEP reminds some people of Sudden Infant Death Syndrome (SIDS) in newborns. The actual risk of SUDEP remains uncertain, and more research is badly needed. 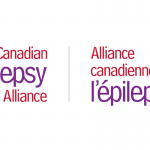 The rate of SUDEP is estimated to be around 1 in 1,000 people with epilepsy a year, typically a young person 20 to 40 years old with poorly controlled tonic-clonic seizures. 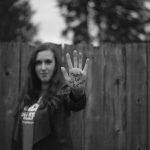 Although most SUDEP deaths are not witnessed, there is evidence that SUDEP may often be preceded by a seizure. When people with epilepsy are told about SUDEP, they ask “will it happen to me?” The chances of dying from SUDEP are remote. Some people may be more at risk than others, especially people aged 20-40 with tonic-clonic (grand mal) seizures which are not fully controlled by medication. Not taking medication correctly or regularly, being alone during seizures and using alcohol or street drugs can also be factors. No one knows for sure, but seeking treatment regularly to get the best possible seizure control, avoiding sudden drug withdrawal, and taking one’s medication regularly are recommended. Avoiding alcohol, maintaining regular and adequate sleep patterns, exercising, eating nutritious meals and learning to manage stress are simple things that may make a difference. Suggestions for concerned relatives are staying with someone for 15 to 20 minutes after a seizure to ensure they are breathing easily, and learning basic CPR. The risk of SUDEP, while relatively small, is nevertheless real. We believe it should be discussed openly by doctors with patients and their families. Frank and reasoned discussion may improve compliance with medication and lifestyle regimens. It may also prevent the family feeling betrayed by the doctor should a sudden death ever occur. “Why weren’t we told?” is a common reaction of family members bereaved by SUDEP. Where can I find more information on SUDEP? For more information, contact the SUDEP Awareness and Support Association (SASA) via e-mail at peace2u@axxent.ca.